Rocket stove made from five gallon can, notice where you feed the wood in. 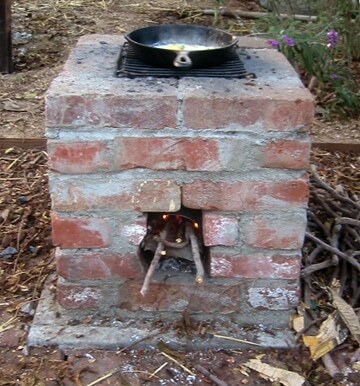 Something else that I have built is a Rocket stove. They are easy to make and quite efficient. The big advantage to them is that they will burn twigs, dried brush, and other small debris that you normally would not use for fuel. If you are faced with a shortage of fuel, this would be a great stove to own. 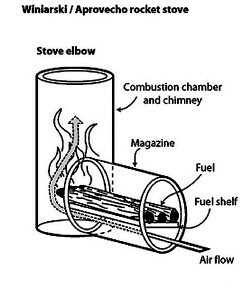 The design of the internal pipe. 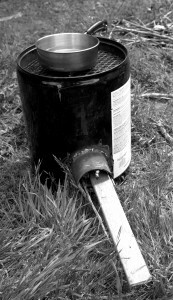 I made mine out of a five-gallon can and some scrap 4-inch pipe and a old piece of grill. It works very well. You get a surprising amount of heat out of small twigs and branches. 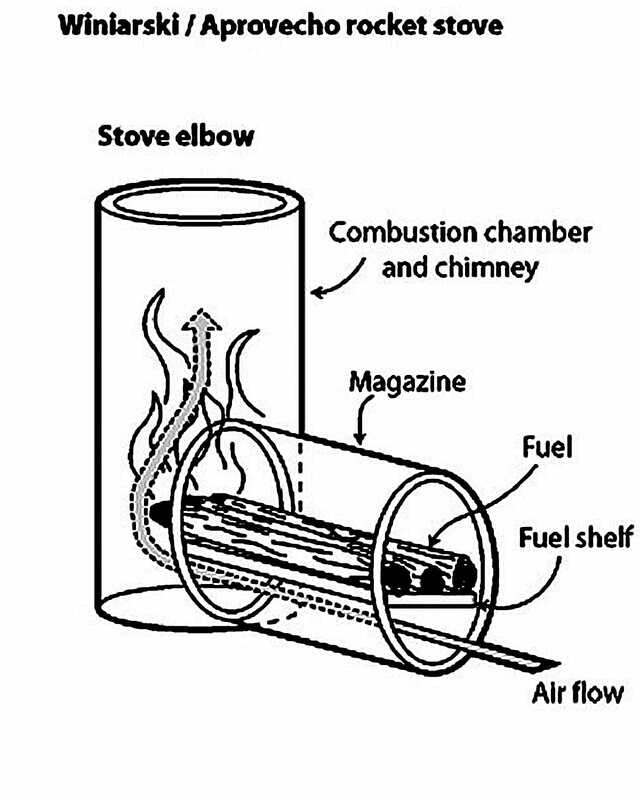 You can make stoves from almost any size of a can and old pipe. I have seen pictures of large ones made of brick. One of these days I will build a brick one in the back yard. I followed this basic design in making mine. In mine I used lava rock for insulation to keep the weight down, however dirt will work. Tips on Dehydrating Your Garden Produce. 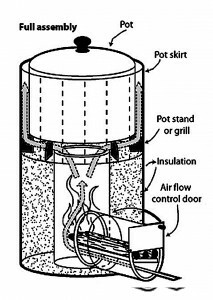 This entry was posted in cooking, equipment, fuels and tagged Howard, rocket stove. Bookmark the permalink. Hmmm. 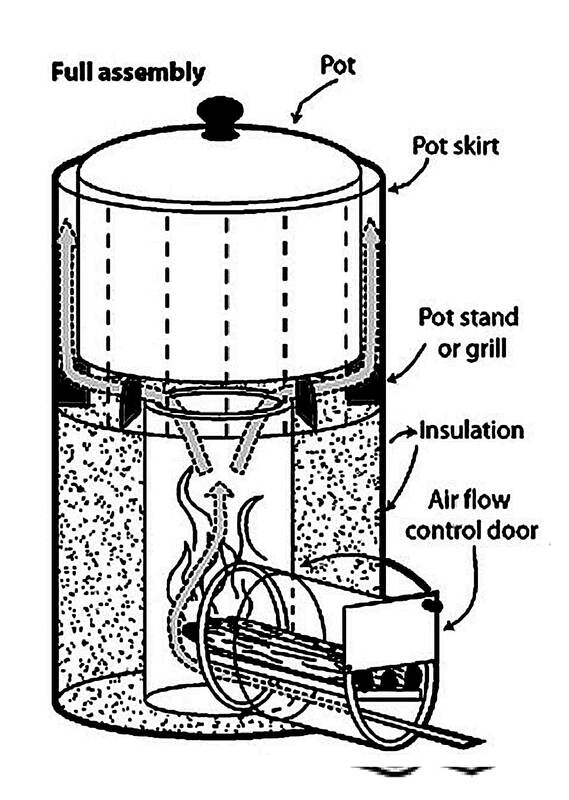 I don’t have a welder and I don’t suspect JB Weld would hold up to the temperatures you’d experience with this stove. I’ll have to keep thinking on this one, but I love the concept. Thats why ya need LMI around you with various skills! Great web site, love the info! I will do a blog on one in a few days.